Today’s consumers appreciate when companies go the extra mile. They care about more than just the products they purchase, but also about the experience that comes along with buying those products. This is why more thought is being put into the look and feel of product packaging. Packaging adds another opportunity for personalization that gives the user a unique experience, rather than having them feel like they’re opening up a plain box or a mass-produced package. Manufacturers have taken notice of consumers’ wants and needs in terms of personalization and have begun to pay more attention to detail, particularly when it comes to product packaging. Consumers often relate products to their own personalities and want to feel like what they purchase is a reflection of themselves, and a big part of that experience is personalized packaging. Digital printing is helping manufacturers to better connect with their target audiences by allowing short-run print jobs for custom and personalized packaging. The quickness in changeover time creates a swift turnaround for various types of packaging. This not only speeds up the production process but also cuts back on the amount of waste. Manufacturers can print a limited amount of personalized or custom packages and then switch to printing a different package design, rather than having to print massive amounts of the same design. With traditional print techniques, the luxury of short-run print jobs isn’t quite as easy to make happen. Print jobs are generally much larger using traditional print methods, making custom and personalized packaging harder to accomplish. 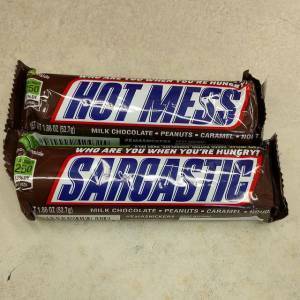 Snickers uses custom packaging for its “Hunger Bars” campaign. Companies like Coca Cola, Nutella, Snickers, Kleenex, Bud Light, and more have all started focusing on creating product packaging that’s more relevant and attractive to their target audiences. Coca Cola, in particular, started the “Share a Coke” campaign in 2011, which featured hundreds of different first names that were printed directly onto cans and labels. Consumers began seeking out Coke bottles and cans with their names on them because the idea of a personalized can was particularly more attractive than a standard, mass produced can. The results helped boost Coca Cola sales by 0.4% year-over-year, which was impressive considering they had 11 consecutive years of declining sales. 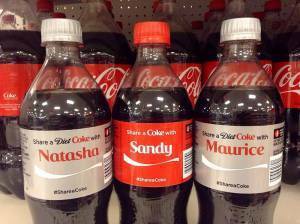 Coca-Cola uses custom labels for the “Share a Coke” campaign. With consumers gravitating more toward personalized packaging, companies will be hard at work to think of custom or personalized packaging ideas that appeal to their target markets. With personalized packaging and digital printing on the rise, the need for inkjet inks is also at an all-time high. Marketing research firm MarketsandMarkets estimated that by 2023, the digital printing market will be valued at $28.85 billion. MarketsandMarkets stated that “UV-cured ink is expected to hold the largest share between 2017 and 2023.” This can be attributed to UV-curable ink offering benefits like rapid dry times, sustainability, low price, and its ability to resist damage from UV rays. The growing demand of consumers who want packaging to be more of a personalized experience will cause exponential growth in the digital printing and inkjet ink markets. This increased demand, along with the growing capabilities of digital printing, will lead more manufacturers to continue to increase the personalization of their product packaging.